Happy Horses Live at Silverwood Farm! With large fields and small recovery paddocks your horse can get out every day, even if recovering from an injury! The fields are small groups (6 or less horses) Large pastures with small groups allow for quality grazing. Horse out 7 days a week from 6am -3pm. Mirrors on one end and on one side. Indoor dedicated to boarders during shows. All arenas are available for riding including all competition arenas. Hay up to 3 times per day. Hay fed outside in the winter or if your horse is in a lay-up paddock. 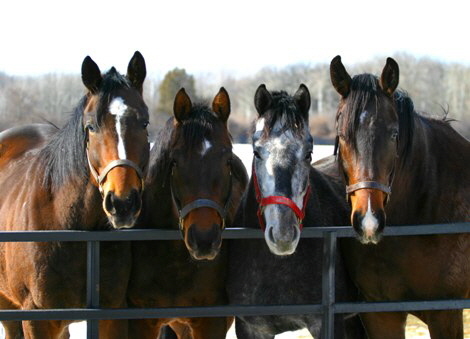 Horses must be on Silverwood worming and vaccination schedule.